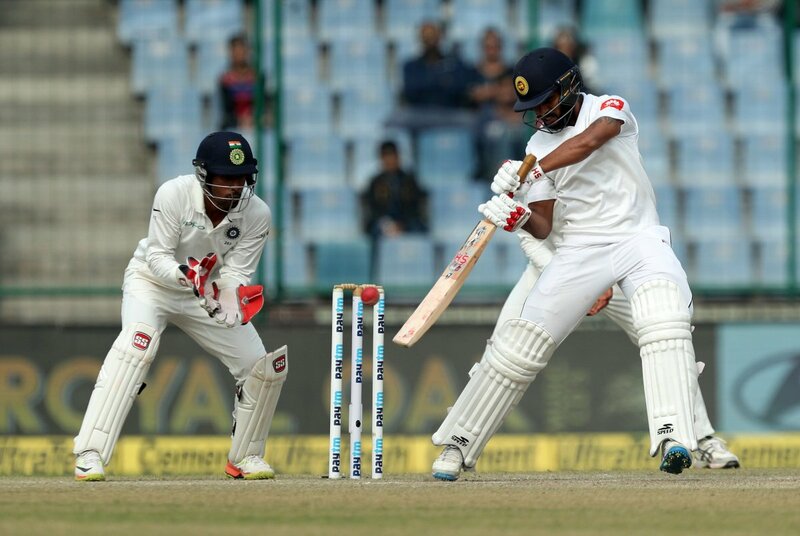 New Delhi, Dec 6: Sri Lanka skipper Dinesh Chandimal on Wednesday heaped praise on centurion Dhananjaya de Silva and debutant Roshen Silva for helping the team salvage a draw in the third and final Test at the Ferozeshah Kotla here. Dhananjaya (119 retd hurt) and Roshen (74 not out) played vital knocks to salvage a draw in the final Test against India here. Dhananjaya could not carry his innings and left the ground following a glute muscle injury while Roshen made sure he batted till the end to keep the Indian bowlers on the back-foot. "Credit to Dhananjaya and Roshen Silva for such efforts in tough conditions against great bowlers," the Sri Lanka captain told reporters during the post-match press conference. "I've done a lot of hard work. I've made changes in my technique, and have worked with the batting coach. It was a tough time," Chandimal added. Talking about the pollution and conditions Sri Lanka played in here, Chandimal said: "In Sri Lanka, we aren't used to this (talking about air quality), so we struggled for the first two days. Today was a fantastic day. Feels like Sri Lanka. "Thanks to Indian fans for supporting us. Thanks to Virat and team, they're really good. Wish them well for South Africa."